Bruno Heller is the executive producer and writer of PENNYWORTH. Bruno Heller developed and serves as executive producer for the drama Pennyworth. Based on the DC characters, Pennyworth follows Bruce Wayne’s legendary butler, Alfred Pennyworth, a former British SAS soldier in his 20s, who forms a security company and goes to work with young billionaire Thomas Wayne, who is not yet Bruce’s father, in 1960s London. Prior to Pennyworth, Heller developed and executive produced the drama Gotham, also based on characters from DC, which concludes its five-season run in 2019. Before that, he created and executive produced The Mentalist, and wrote many of the series’ landmark episodes. The drama ran for seven seasons and was a hit around the globe. Prior to The Mentalist, Heller was acclaimed for the epic drama series Rome. Heller co-created Rome, served as executive producer and head writer, and penned a total of 11 episodes for the series, including the pilot. Before venturing into a writing career, Heller graduated from the University of Sussex in Brighton, England, and spent years working various film jobs, eventually becoming a successful boom operator. He left England for New York, where he would meet his wife, Miranda Phillips Cowley. He made his screenwriting debut on the 1994 Portuguese film Pax, starring Amanda Plummer. 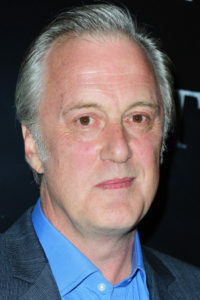 Heller then moved to Los Angeles in 1997, where he began work on two television projects, Touching Evil and The Huntress. Heller was born in London and currently resides in Los Angeles. His father was Lukas Heller, a successful German screenwriter and winner of an Edgar Award for Best Motion Picture for Hush…Hush, Sweet Charlotte.